It was when I was sliding through mud, into a cave filled with bats and spiders, that I began to wonder if I should have thought twice about embarking on a jungle trek. 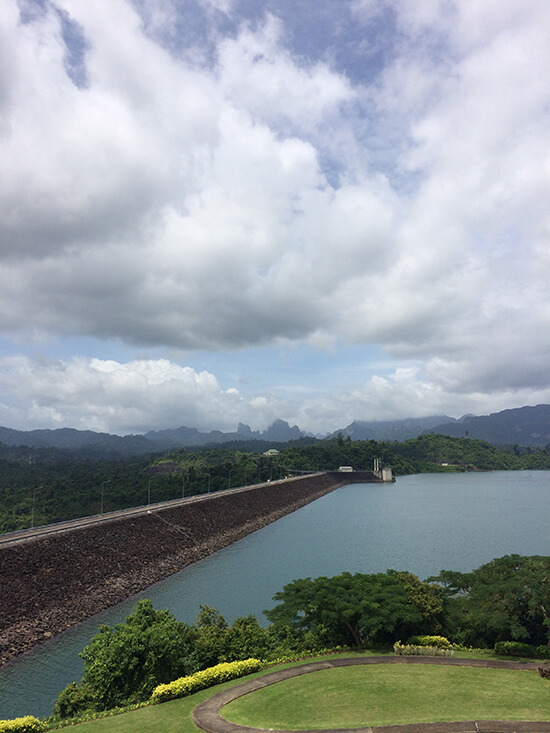 It was my second day at Elephant Hills in Thailand, and I’d arrived at the Rainforest Camp that morning, where I’d enjoyed a delicious buffet lunch overlooking Khao Sok National Park. We were then given several options: we could stay and relax at the camp, go for a swim, and take our individual kayaks out for a paddle on the calm waters; or we could join experienced guides on a trek through the jungle. Despite suffering a rather nasty insect bite a few days earlier which had resulted in my ankle swelling to twice its usual size, I squeezed my inflated foot into a trainer and boarded the boat with other hopeful trekkers. Little did I know what lay before me…. 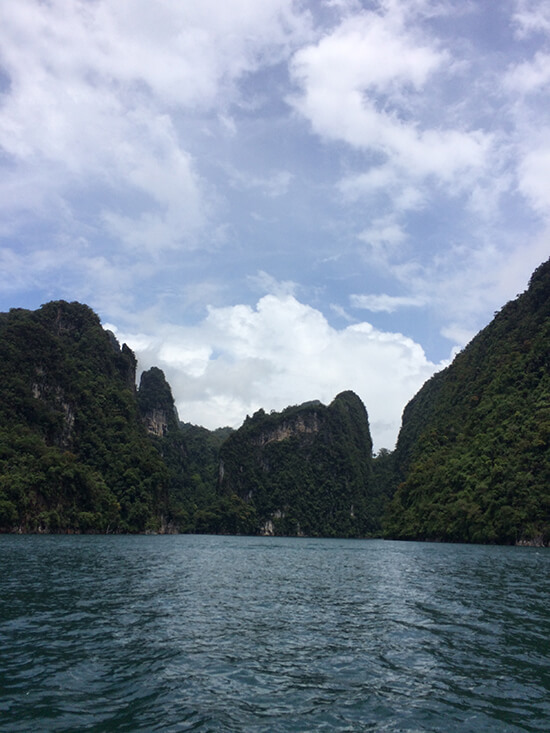 The 10-minute boat ride to the rainforest was beautifully scenic, and I was looking forward to getting up-close and personal with nature and experiencing a taste of Thailand that only a few tourists get to enjoy. As we disembarked the boat, we were met by two locals and handed a bamboo stick to help us keep our balance during the trek. It became quite apparent almost immediately that the gentle stroll I had in mind was not what I had signed up for. Faced with a steep hill which was slippery with mud following the previous days’ rain, I quickly ascertained my place near the back of the group. I was followed by one of the guides, armed with a pocket knife to slice back stray branches and forge a path for us. We continued upwards for around half an hour, but conditions were treacherous: the ground was so uneven and wet that we struggled to find our footing and I reached the top sweating and covered in mud. While all I wanted to do was sit down and rest my weary cankle, we were onto the next part of the trek – the cave. We were encouraged to leave our belongings and bottles of water outside because the journey into the dark cavern was fairly tricky. Armed with just a torch, I began making my way down into the darkness, clinging desperately onto the mud-caked rope which led climbers along the route. My cankle was beginning to throb by this point and, after going over on it, I had to practically be carried down the slope into the cave. But I soon realised all that hard work had been worth it. Enveloped in the dark, listening to the sounds of the animals and the gentle trickle of the stream, it dawned on me how rare an opportunity this was. When would I get the chance again to trek through a real jungle with local experts as my guides? The walls of the inside of the cave looked like they had been carved by hand, and it was home to a plethora of weird and wonderful creatures. We were encouraged to shine our torches on the walls, for glimpses of caterpillars, spiders, and the odd snake. As we ventured further into the darkness, the high-pitched squeaking of bats sliced through the air and we realised there were hundreds of them above our heads. After marvelling at this sight, lit only by the beams of our torches, it was time to climb back. I naively thought this would be much easier. After all, we’d already done it once and I was feeling much cooler after escaping the searing heat of the sun. But it was here that I suffered my second fall of the trek. While grappling with the rope and attempting to heave myself up, I lost my footing, let go and slid down the muddy hill feet first. My pride took a harder knock than anything else, and I was glad that the rest of the group were distracted with their own struggles to exit the cave, so I (almost) got away with it. By this point, we had been trekking for more than two hours, and while I wasn’t admitting it to anyone else, I was starting to flag. I was hot, I was thirsty, and I desperately wanted to rest my cankle. But on we marched, back down the slippery path we had trekked up. The start of the walk had been filled with the excited babble of the group, but now we were walking in silence as we concentrated on not losing our footing. The guides knew how to pick up spirits though, taking us to a clearing in the trees where the views were simply breathtaking. Looking down onto the water below, there was a gentle mist rising from it and the sky was beginning to deepen in colour as dusk drew in. 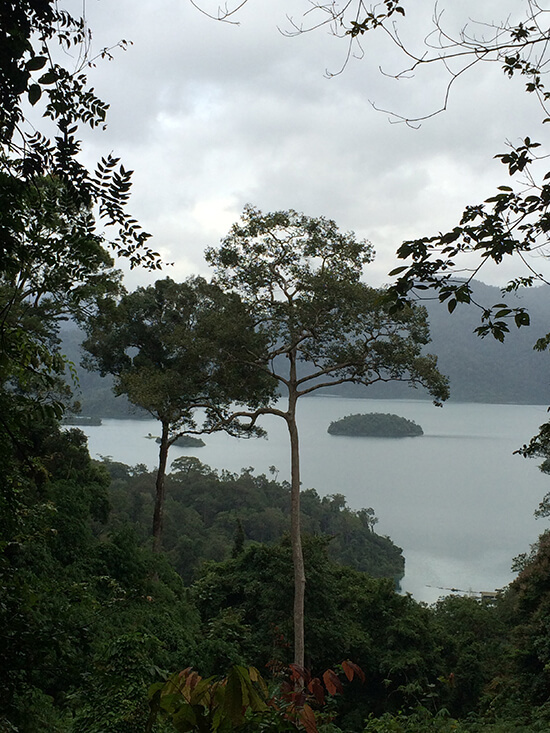 The rainforest was starting to darken, but it still held so much wonder. Our guide stopped us just before we reached the boat, and indicated that we should watch as he chopped pieces of bark off a tree. He encouraged us to sniff it; the sweet smell of eucalyptus filled my nostrils. I clutched the piece of bark all the way back down through the jungle and before I knew it, we were through the trees and out into the open – just in time for sunset. I squeezed my cankle out of my trainers and dipped my feet into the cool water of the lake, as the sun sank beneath the horizon. It was so refreshing to not be able to hear any sounds – no cars, no traffic, no mobile phones. As we watched the kaleidoscopic colours reflect off the water, I realised how lucky I was to have experienced something so unique – and to be able to call a slice of beautiful Khao Sok my own, if only for an evening. 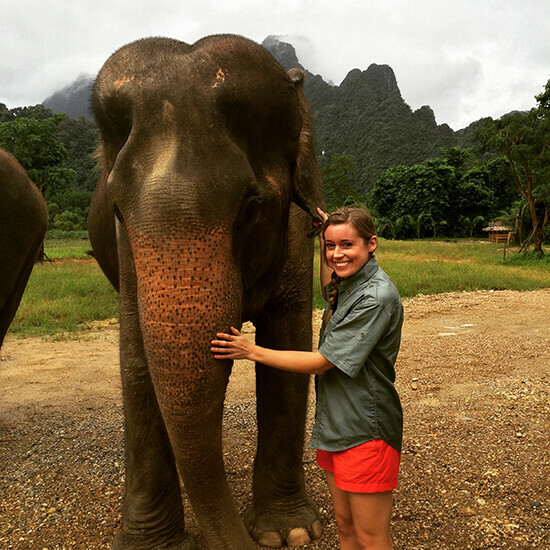 Make an appointment with one of our Travel Experts today and they can book your Thailand holiday, incorporating Tess's incredible Khao Sok jungle trek too.